There is an incredible amount of symbolism -- From the title to the minor hints with the characters' behaviors, Us will blow your mind. Jordan Peele is an incredible director and writer, and I will never stop watching his movies -- I make a vow to that here and now. I was first impressed with his work after watching Get Out, and when I saw that another film of his was debuting, I sprung at the opportunity to see Us during opening weekend. The movie earned a well-deserved 94 percent on Rotten Tomatoes and $70 million for its opening weekend (that's impressive)! 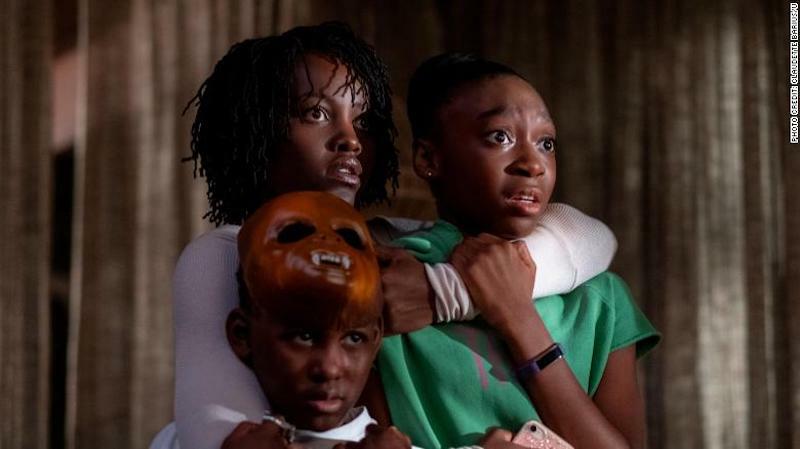 Jordan Peele is a mastermind at creating freaky films that resonate because of the incredible amount of symbolism, visual effects, and casting. If you haven't already, please, please go see this movie. Us is a passionate derivation of Peele's genius and needs to be seen by everyone. There were so many incredible aspects of this film starting with the casting: three big names, Lupita Nyong'o (Adelaide Wilson) and Winston Duke (Gabe Wilson), both from Black Panther, and Elizabeth Moss from The Handmaid's Tale played three of the main characters during the film. I was ecstatic at the chosen actors for the leads because they are incredibly talented and I love and admire the previous roles they played. The acting is what took the cake overall. Lupita Nyong'o presented her talents yet again because she was able to fool me (just wait for that ending) and was true to her character. Adelaide was a very different girl than Nakita from Black Panther -- she was a troubled young girl who settled into her fears whereas Nakita is a strong, direct, and powerful woman. Also, Lupita had to play two different characters, thus increasing my admiration for her talents. The symbolism incorporated into the film was successfully direct and strong while getting the message across. I did not feel left out or confused about any of them and that they were all well-placed. A few of my favorite symbols were the duality of the clones or doppelgangers who call themselves "the tethered," the stab at poverty and privilege, and the meanings behind some of the characters' names. Just look at the resemblance between Adelaide and her tethered. The tethered were forced to live underground away from civilization and were forced to eat rabbit to survive, whereas their counterparts lived above ground and could feel the sun -- thus the stab at poverty. When I watch a scary movie, I not only rate it based on the acting and storyline but mostly, how well the film would scare me. Odd way to do it, I know, but hear me out. When you go to watch a horror film, you expect to be scared out of your seat, scream, and jump even, and then you can laugh it off later. However, a psychological horror flick should do more than that; it should resonate and make you afraid of the dark or make you really think about it afterward. I'm scared. Just, scared. I lay in bed the night I saw it afraid that I was going to wake up to my doppelganger standing outside my home wanting to kill me and break the tethered connection (*Shivers*). Oh, the dreams I had that night. This was me during the entirety of the film. Again, I have had so many nightmares and may not be able to sleep for a week. Thanks, Jordan. I have to give this film an A+ because, honey, I'm not sleeping tonight. Have you seen Us yet? What did you think? Tell us in the comments! The Umbrella Academy is a great watch! Check out our review here.